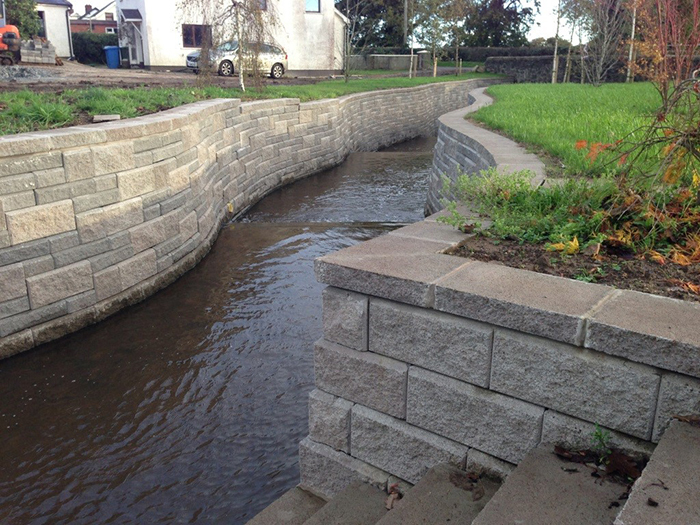 Mass Gravity Gabion Structures: Cost effective and popular option for retaining structures with multitude of visual finishes utilising selected stone, brick, slate etc. Selection of meshes available to suit each project including 3mm-5mm supplied in Galfan and PVC coatings with BBA certification for 120 years on welded mesh. Preliminary designs offered free on application. Mesh Faced Wrap Around Earth Retained Walls: The construction of a reinforced earth wall can be considered as a practical solution across several engineering instances. By utilising a method that incorporates pre-set ‘steel mesh panels’ the building of a wrap around earth wall up to 45˚ can be more effectively and accurately constructed. Preliminary designs offered free on application. Allan Block Reinforced Wall System: The Block’s built-in features make their retaining walls easy to engineer and simple to build. 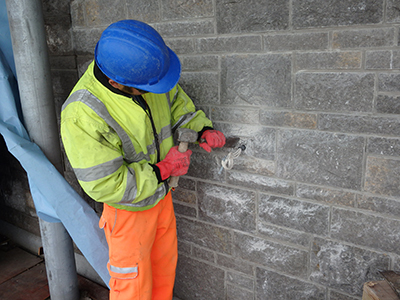 For walls up to around 1.4m the blocks can be utilised by themselves to build a basic gravity wall system. For taller wall projects a Geogrid can be used to reinforce the wall and the earth contained behind it. Soil conditions will dictate suitability and a free preliminary design service is available. 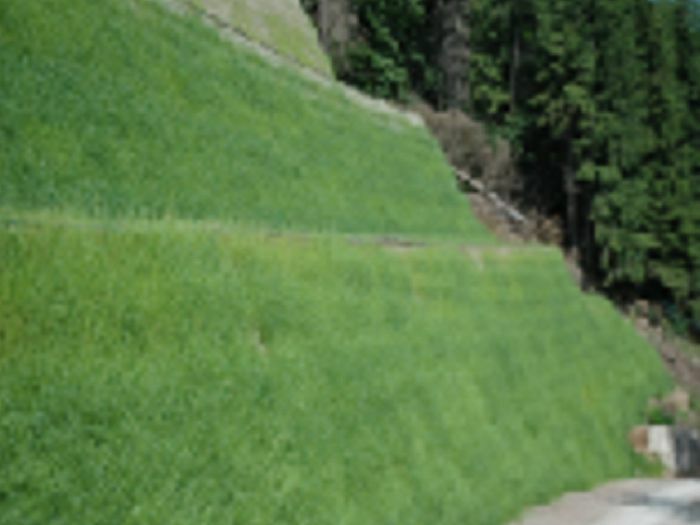 Green Wall System Using Mesh Baskets: Environmental and landscaping requirements have determined the need for engineers to look for innovative methods of constructing retaining walls and slopes. Developments have provided the use of new mesh faced ‘green’ options to accommodate varying wall and steep slope systems. Preliminary designs again are available free. Eco-crib Walling: Eco-crib components are manufactured from 100% recycled polymer and are therefore fully recyclable. Each wall has an aesthetically pleasing look and has the appearance of dark timber. 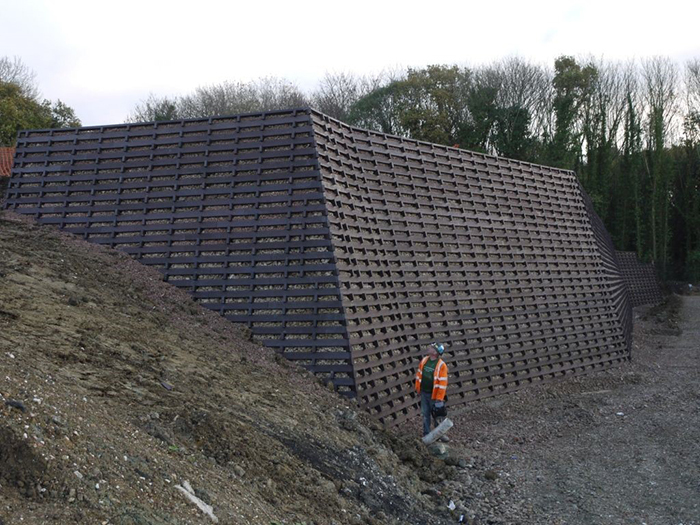 It can be utilised as an economical and environmental alternative to many forms of retaining structures in applications such as garden and land boundaries, embankment retention. BBA Certification for a 120 year durability and supplied design and install. Construction of a reinforced earth wall can be considered as a practical solution across several engineering instances. These could include remediation of a failed existing embankment or in the construction of new detail for project aesthetics, noise bunds or even as part of a long term flood defence program. By utilising a method that incorporates pre-set ‘steel mesh panels’ the building of a wrap around earth wall up to 45˚ can be more effectively and accurately constructed. 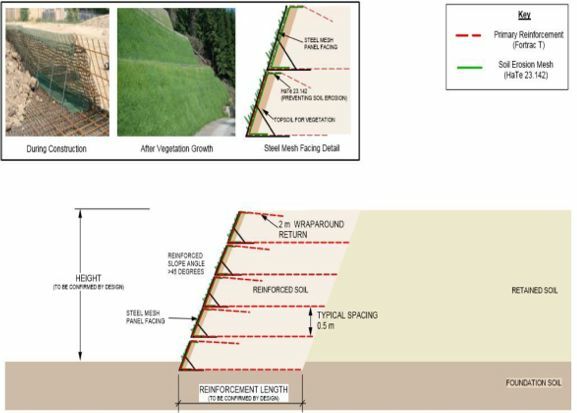 This method would benefit most project programs and by further incorporating a pre-seeded erosion mat into the stepped construction phase it is easier to determine a more environmental and rapid greening of the embankment face. 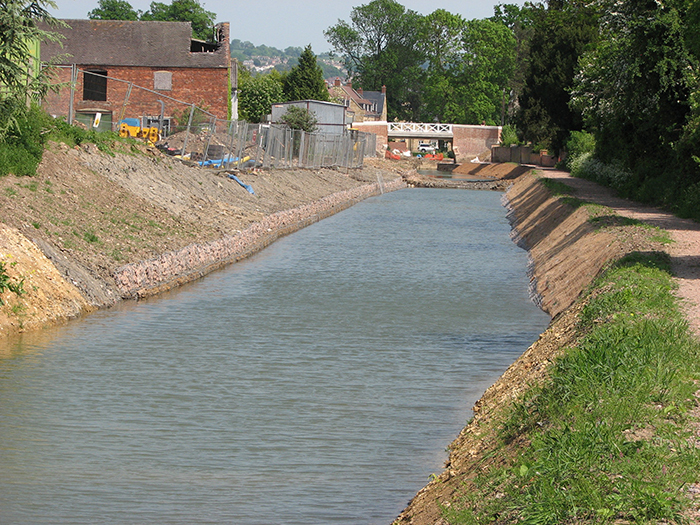 Mesh Gabions and Mattresses are successfully used within the development or rehabilitation of existing water courses offering immediate protection against erosion in normal and inclement conditions. 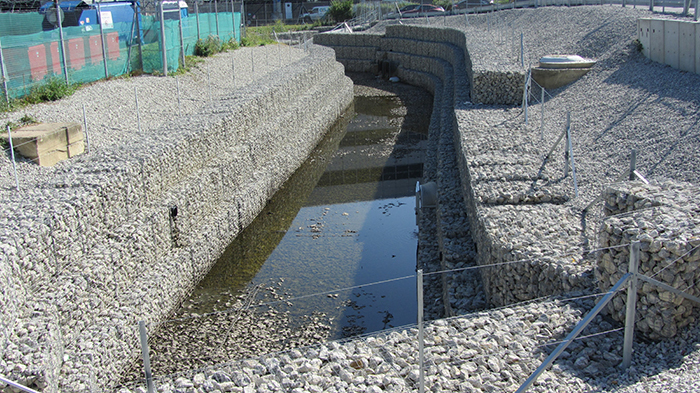 Gabions offer aesthetic and environmentally pleasing solutions for structures alongside water ways whilst the mattresses provide effective river bed or shore line protection. 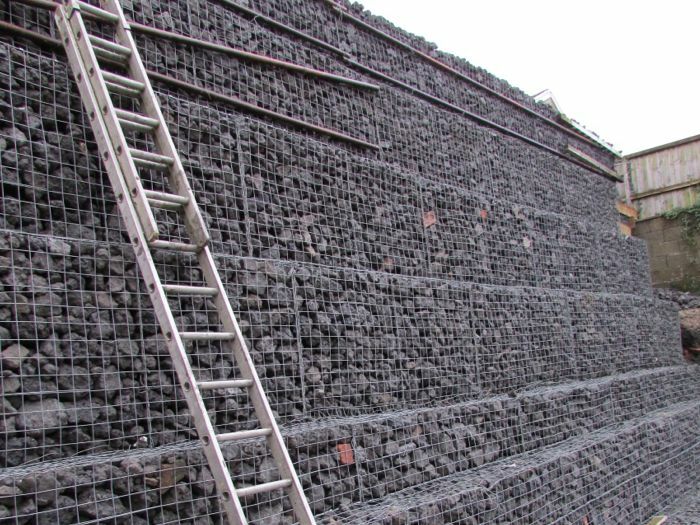 Engineers that consider using gabion baskets should in all cases design to resist the soil and external forces whilst considering the potential of effects from inclement conditions. Many retained soils within the water course will become saturated after these realistic flood conditions or as a result of a possible effect of tidal flows. 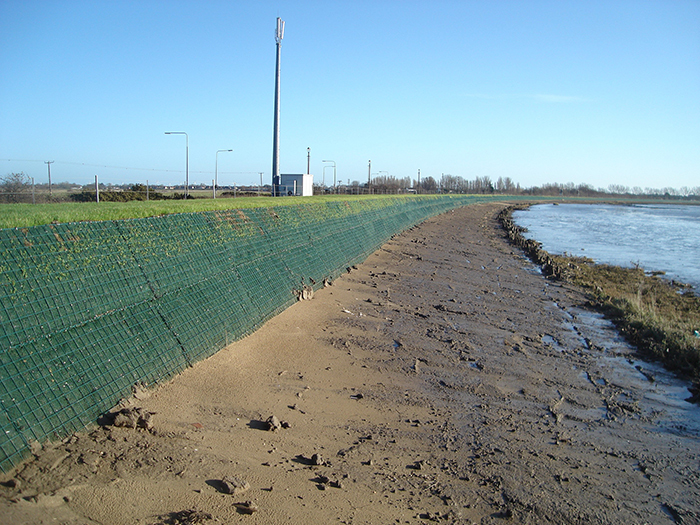 Part of the solution will be to utilise a nonwoven geotextile behind and below any installed gabion structure in these applications to minimise the effects of soil loss. The purpose of an installed mattress is to reduce the water velocity of the stream as the depth increases so that at the interface with the bed the velocity is such that it will again not displace the soil particles and create erosion. Once again a geotextile separator membrane with a pore size smaller than the soil particle size should be placed below the mattress. Each provided design is empirical and would take into consideration the projects environmental conditions, historical use and performance. For preliminary design information or assistance please do not hesitate to contact us.